Vision Soft Reset has you controlling a creature named Oracle who moves around via a mechanical suit. Oracle and their friend have arrived on an island that houses a shield designed to prevent the planet’s core from exploding. Oracle is very cocky for one simple reason: they have the power to control time via rewinding or seeing future events. From a gameplay standpoint, Vision Soft Reset combines various 2D games along with the metroidvania design. You primary attack is your blaster that can be charged up, but you will find other upgrades while exploring. At any time while you have the energy (or focus), you can rewind time to avoid damage or redo jumps. You only start with two hearts of health, and many larger enemies can one shot you at this point. As long as you have focus available, you are free to rewind even from death. Keeping with the time powers, you are also able to view visions that show you where enemies are moving and their attack patterns. While things sounds simple so far, you’ll quickly discover the game’s twist, and when the time traveling gets interesting. After making it through the game’s first section you’ll discover that the shield protecting the core has failed, and that there is only 20 minutes left before the end of the world. With the world in your hands, your mission now changes to trying to figure out how to repair the shield and what went wrong. From here, Vision Soft Reset begins to get tricky with its time manipulation. 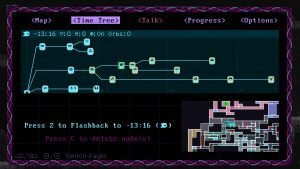 Scattered around the island are stations that allow you to put a bookmark in the timeline and act as save points. 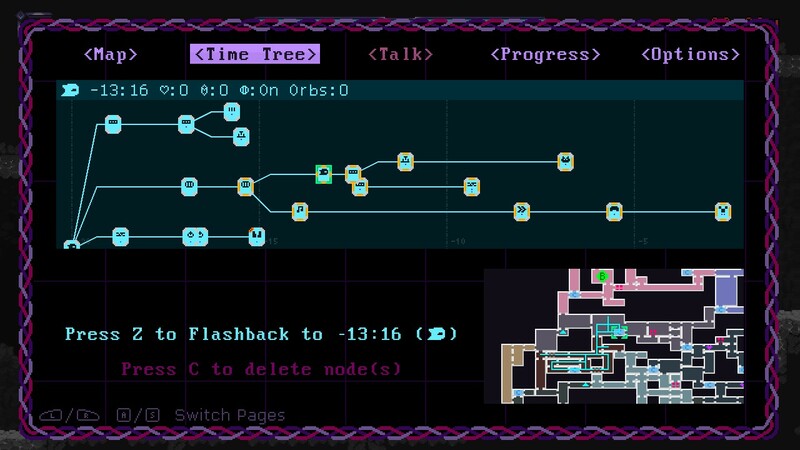 If you need to return to a previous point to solve a puzzle or because things aren’t working out, you can return to any save node on the time tree screen and that also rewinds time to the point where you saved. While this sounds overpowering for the player, the game has a few devious twists for you. There are two kinds of upgrades in the game: Physical upgrades that increase health and focus reserves, and decryptors that unlock new functionality within your suit. 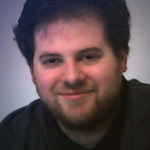 Decryptors act as permanent upgrades that change how you move throughout the island. Health and focus upgrades on the other hand only stay active within the timeline that you picked them up. If you rewind time to a point before you acquired one, then you lose those bonus resources. To add further complexity, there are several areas that can only be accessed at specific times within the 20 minute window; get there too late and your only option is to go back to a previous time node. The game is on the challenging side, as you try to balance picking up additional upgrades you need, while still heading to areas you need to within the time limit. With that said, the game does feature some spikes in the progression in the form of puzzles. I can’t go into detail without outright spoiling them, but Vision Soft Reset features four “puzzles” that you must get through in order to win the game. Each one will rely on your time altering powers in some way, but they are more annoying in terms of interesting. As with most time-travel stories, you are going to have to use knowledge you acquired in the future or on one timeline to solve a puzzle earlier. The problem is that you have to memorize clues that could have just been given to you as notes. The funny part is that the game actually does that, but you have to solve the puzzle first, thereby making it meaningless, and the note only shows up at the starting location. One final point that needs to be mentioned is that this is a hard game. Don’t let the screenshots fool you, there are a lot of technical jumps and maneuvers you need to pull off. The dodge maneuver gets integrated into different actions that you will need to perform in order to get around and through obstacles. 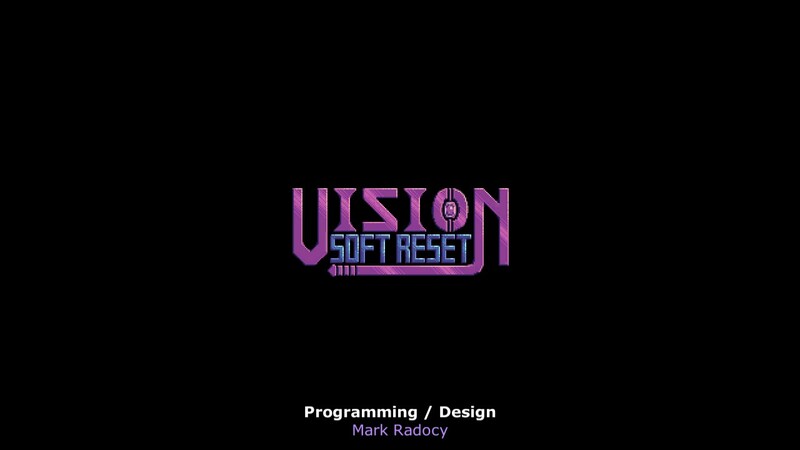 Vision Soft Reset was my first real surprise in 2019 of a game I enjoyed. If you’re a fan of metroidvania design, definitely give this one a look. With a little more polish, this could be the start of a great franchise.